Monday – Students reviewed text features during small group instruction by inserting their own features into a short, bland-looking article on the Egyptian Pyramids (paper/pencil assignment). Next, students rotated to their Google Classroom center where they watched a Reading Rainbow episode on the African folktale Mufaro’s Beautiful Daughters. I wanted students to have background on the story and elements of African culture before our scheduled field trip on Wednesday to see the play at our local theater. Students watched the video and then responded to a discussion post in which they described the lesson of the folktale. Students then rotated to Lexia (our adaptive online reading program) followed by Read to Self, where they read a book for pleasure. After rotations were finished, I had all students log their Chromebooks into the site Pear Deck to review text features for Tuesday’s test. This is an amazing tool that allows students to interact with a Google Slide presentation on their own screen. I put up different informational text features and students had to answer questions about them by dragging, drawing, and typing right on the presentation that showed up on their screen. (See below for a quick video about Pear Deck). Tuesday – Students took a summative assessment on text features. On these days, we usually start with our normal explicit vocabulary instruction followed by the assessment. After students finish their tests, they read and then all go on Lexia, our adaptive reading program. I like these days because I’m able to circulate and help out students who might be stuck on a unit of instruction on Lexia. The program alerts me to the names of these students automatically. Wednesday – We had our field trip to The Smith Center to see Mufaro’s Beautiful Daughters. The students LOVED it and were really engaged because they already knew the story. We talked afterward about the lesson of the play and how the lights and music contributed to the mood of the show. Thursday – We started a new unit on recounting fables and identifying morals. It was nice to be able to connect it to the folktale. During the Google Classroom station, students were asked to review the play Mufaro’s Beautiful Daughters. They filled out a Google Doc to explain their favorite scenes, ones that needed work, and an overall star rating. I included a rubric right in the document so they knew what they should include for a certain score. After Google Classroom, students went to Lexia and then on to Read To Self where they read the tale Tops & Bottoms. They were instructed to finish reading it by Friday because our small group instruction that day would depend on their knowledge of the book. After rotations, students paired up and received a fable that they would act out the following week in front of the class. They would be allowed to speak but they could not give away the moral so that we could guess what it is. Friday – At the teacher table, students recounted Tops & Bottoms and then discussed the moral of the story using evidence from the text. 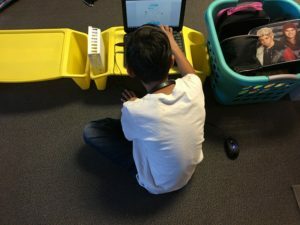 At Google Classroom, students took their weekly vocabulary quiz using Google Quizzes. 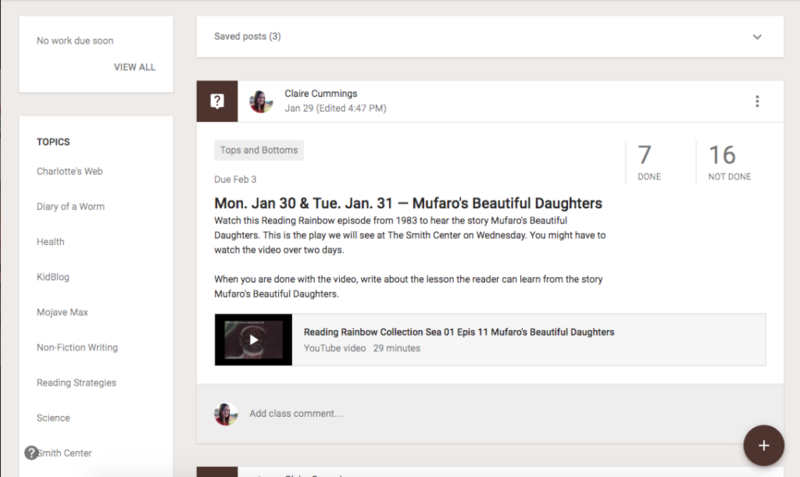 This new feature is very teacher friendly, grades responses automatically, and provides students with instant feedback. After students finished the quiz, they went on KidBlog for what we call “Free Write Friday” when they can write about whatever they’d like. 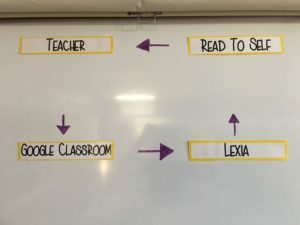 Overall, this week reminded me why I love blended learning and the power that these devices can have to connect learning across mediums.